Located within the City Center development area- Garden Apartments is mixed-income rental apartment project containing 60 residential units. 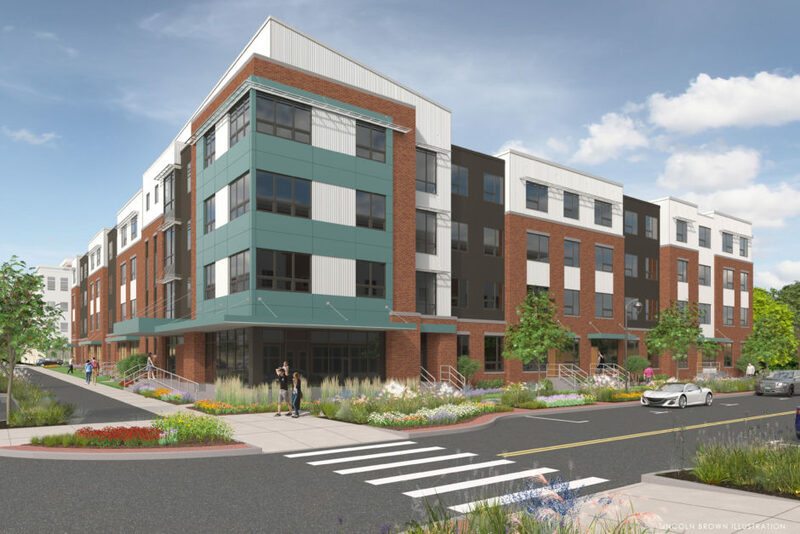 The project, developed on behalf of Champlain Housing Trust and Housing Vermont includes a mix of one, two, three, and four bedroom apartments targeting the increased demand for affordable family housing in the Burlington / Chittenden County marketplace, including larger homes for new American families. Under construction, Garden Apartments is scheduled to be completed in December 2019.